There’s a lot going on around town this long Labor Day weekend. It’s all spelled F-I-R-E. It’s really windy here and my wife and I keep a watchful eye as the wind whips and some of the surrounding area burns. I wish all my friends in the affected areas surrounding Austin love and blessings. I hope you are alright. The only upside to the weather is that it’s a downright chilly 90F in the area today. It should be like this for the rest of the week. Which will be nice. Pie 41 is a simple yet healthy apple cinnamon pie. The crust is a wheat flour crust/unbleached flour mix. I like the crust for this; it was manageable and easy to transfer. It was also really simple. The recipe for the crust only makes one so if you need a top for your pie you’ll need to double up on the ingredients. Blend ingredients together in a small bowl until it forms a flaky dough. If it seems dry, add one tablespoon of cold water at a time until it holds together. Form into ball. Wrap in plastic wrap and freeze for one hour. Roll out one crust and transfer to a 9 in. pie dish. Place in fridge until you are ready to fill with your apples. In a large bowl, peel and slice your apples. Add your cinnamon and blend into apples. Mix flour into sweetener. Place the peeled, sliced apples in the crust until it’s about 2/3 full. Sprinkle half the sweetener mix over apples. Place remaining apples slices into pan and sprinkle remaining sweetener mix over them apples. Slice the margarine and dot over the pie. Roll out your top crust and transfer to pie. Crimp edges decoratively. Slice top to vent. Bake for 1 1/4 to 1 1/2 hours or until the crust is light brown. Mmmmm, delish. Sugar free apple ice cream adds to the pie as a nice garnish. 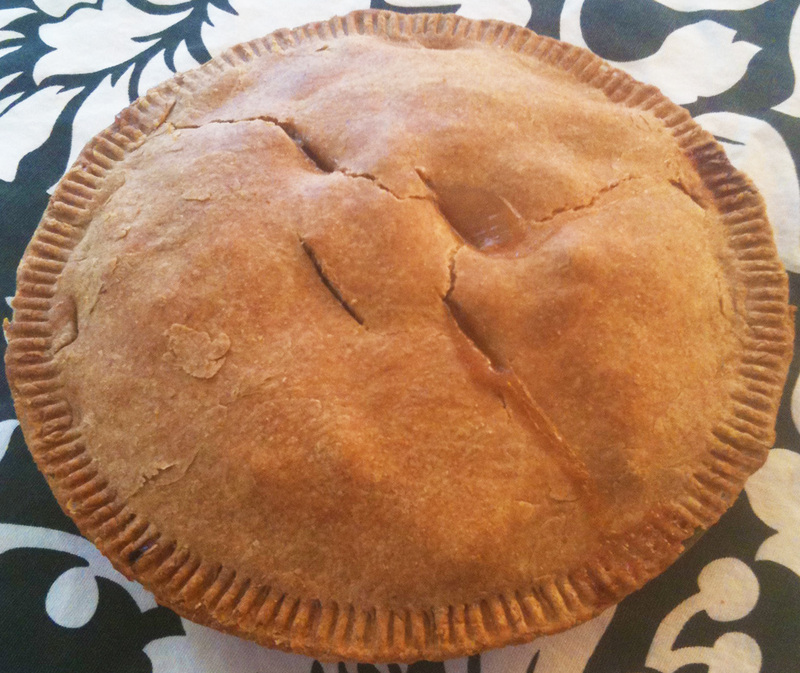 This entry was posted in Apple Pies and tagged Apple, Baking, baseball, Dessert, Pie, Recipe by pieofthebeholder. Bookmark the permalink.